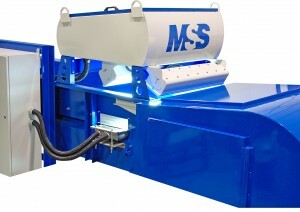 The MSS MetalSort system’s multiple-coil metal separators provides for precise separation of ferrous, non-ferrous metals and stainless steel from pre-sorted materials or mixed municipal waste streams. 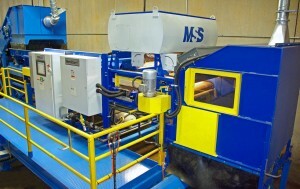 The waste stream transports the metal material on a high-speed conveyor and computer processes the obtained signal variations from each coil across the belt and fires a precise air pulse that moves the targeted metals across a splitter and into a catcher hood. 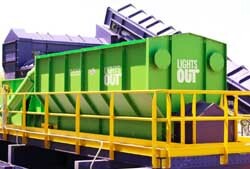 The L-VIS high-resolution color camera sorting system is optimal for small particle applications, and automatically sorts shredded, granulated materials and flakes by color at 98% accuracy. 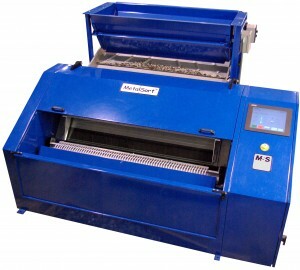 The L-VIS’ corresponding high-resolution air jet array provides fast, accurate ejection with configuration by the operator via a touch-screen interface.